Our surgeons perform hundreds of endocrine surgeries every year — taking on complex cases that only the most experienced surgeons can handle. Whenever possible, they use minimally invasive surgical approaches, operating through small incisions. As a result, scarring and pain are reduced, and patients recover faster. Importantly, our surgeons actively collaborate with other medical experts at UChicago Medicine to ensure patients receive a full spectrum of care. For instance, our expert team provides comprehensive risk assessments for endocrine cancer, including genetic tests, as well as a full range of cancer treatment options, including medication and radiation. Our endocrine surgeons are particularly knowledgeable in the management of goiters and thyroid cancer. To accurately diagnose the thyroid problem, we work with UChicago Medicine radiologists, endocrinologists and pathologists to perform preoperative testing. We use fine needle aspiration of thyroid nodules and laboratory testing to determine which thyroid nodules require surgery. Most thyroid surgeries can be performed through small incisions, using advanced minimally invasive techniques. UChicago Medicine was the first hospital in the Midwest to offer scarless thyroid surgery, which is performed through the inner surface of the lower lip. Patients go home without any visible scars. 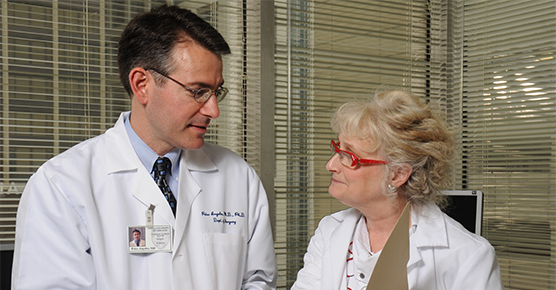 Our multidisciplinary approach to care means thyroid patients receive coordinated medical and surgical care. For instance, in conjunction with our nationally ranked cancer program, thyroid cancer patients may receive radioiodine therapy, as well as chemotherapy and radiation, in addition to surgery. UChicago Medicine also offers genetic counseling for patients with a potential familial risk of developing thyroid cancers. We perform more than 200 parathyroid operations a year — including surgeries to correct primary hyperparathyroidism, parathyroid cancers and secondary and tertiary hyperparathyroidism for patients who are usually on kidney dialysis. Our surgeons have a 98 to 99 percent cure rate in primary hyperparathyroidism. 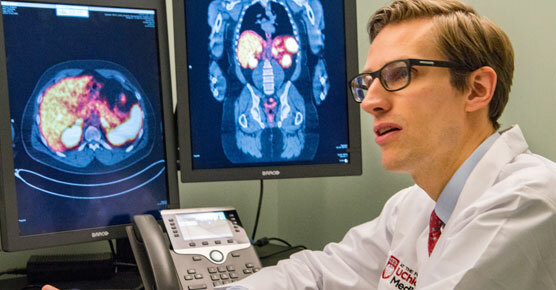 Our endocrine surgeons use advanced techniques to locate tumors before surgery and, when appropriate, use minimally invasive approaches that can be performed through small incisions, reducing scarring and pain. Here, our specialists use intra-operative parathyroid hormone monitoring to help ensure that surgery was successful. In select cases, we also use an intraoperative gamma probe to help identify abnormal parathyroid glands. Our surgeons offer the traditional “open” Whipple procedure for treating pancreatic cancer, as well as a minimally invasive robot-assisted version performed through multiple small incisions. Because our surgeons perform a high volume pancreatic cancer surgeries, our patients have a very low risk of complication. Our surgeons have extensive experience in minimally invasive adrenalectomy — which uses small incisions to remove the adrenal glands. This laparoscopic surgical approach causes less scarring and pain, and speeds recovery. Neuroendocrine tumors, also known as NETs, are a type of endocrine tumor that can occur anywhere in the body that contains neuroendocrine cells, such as the stomach, lungs, pancreas, intestines and thyroid. Neuroendocrine tumors vary in how fast they grow and can be cancerous or non-cancerous (benign). Neuroendocrine tumors are rare, however; they usually don’t cause symptoms early on and are consequently found at a more advanced stage. That’s why finding the right hospital and knowledgeable doctors is critical. 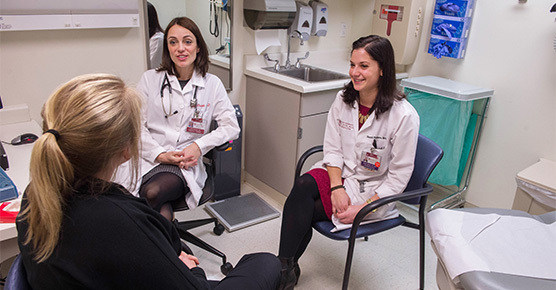 At UChicago Medicine, we offer a comprehensive neuroendocrine tumor program that brings together experts from several specialties, including endocrine surgery, medical oncology, interventional endoscopy, pathology and radiology. Our doctors understand what makes cancer treatment effective –experience, teamwork and technology. 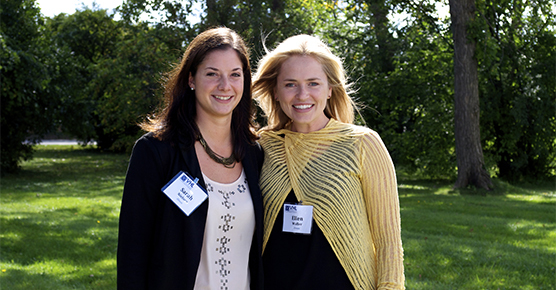 Certified genetic counselor and endocrine surgery experts offer comprehensive risk assessment. Our VHL center harnesses the combined expertise of specialists from 13 clinical areas for unparalleled care.